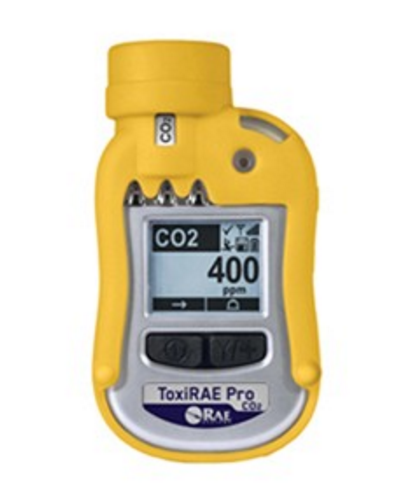 Envirosafe Ireland provide ToxiRae Pro CO2 monitor for monitoring Carbon Dioxide levels over a range of 200-50,000ppm (0-5% Vol) with resolution of just 100ppm. The ToxiRAE Pro CO2 takes worker protection to the next level by providing safety professionals real‐time instrument readings and alarm status (including man down alarm) from any location for better visibility and faster response. The ToxiRAE Pro CO2 promptly detects and accurately monitors Carbon Dioxide in concentrations from 0 to 50,000ppm.